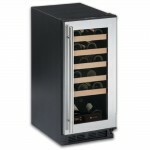 U-Line Origins Wine Cooler Stainless (P/N 1115WCS-00). U-Line's unique triple temperature zone design adds versatility in storage, housing three different types of wine at their optimum serving temperatures or safely storing a single type of wine throughout the entire cabinet. Can be used in built-in or freestanding applications, with reversible hinges. Options include choice of finish. 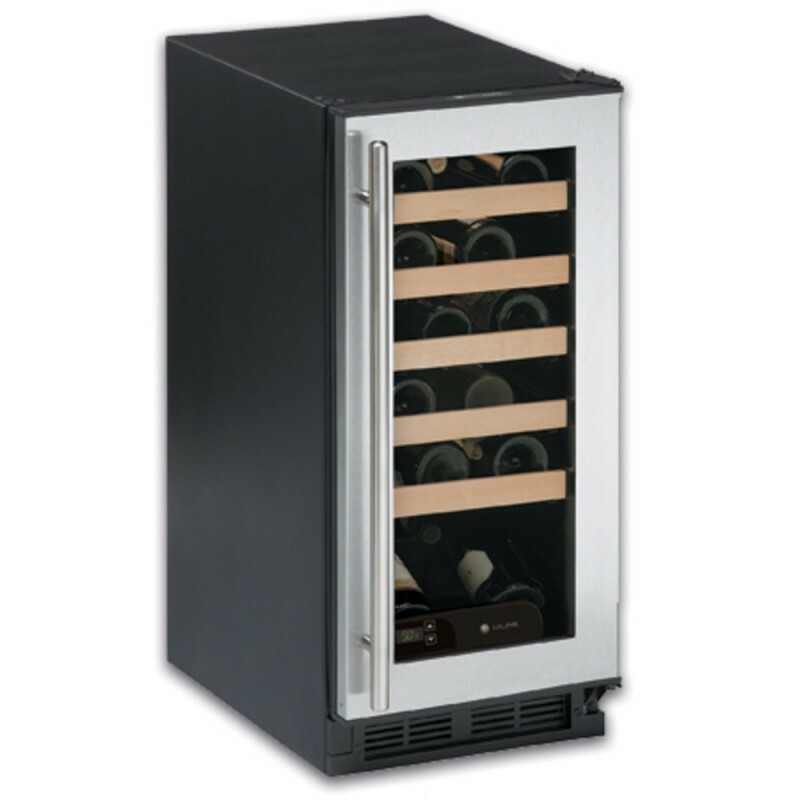 Bringing the convenience of a personal wine cellar to any location in the home, a U-Line Wine Captain is the perfect companion for entertaining - or just relaxing. 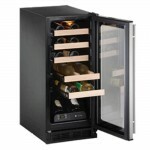 A convenient push-button digital control integrated into the lower bottle retainer sets and monitors the storage environment.